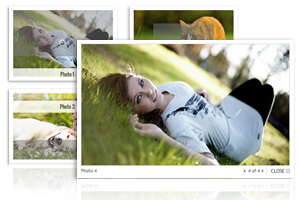 HTML5 Image Effects is distributed as an Adobe Dreamweaver extension, packed as a file, named JQImageEffects.mxp. Read more in the online help. Image Effects lets you apply visual effects to images. This component can enhance your site visitors experience by applying beautiful and attractive effects on any image on your site. Effects are applicable very easy - directly from the component user interface by selecting of the desired effect from the list. Visual effects can be set for image in a static state and for rollover action when user move mouse over image. Also we integrated snowfall effect specially for winter holidays to create truly Christmas mood. Images can be combined into albums, which are shown in the popup window. Users can click over image to open popup window to see enlarged image and to scroll through albums. Popup window has option to show even site pages, using iFrame instead of enlarged image. Component is ready to work as soon as it appears on a page and is fast to respond. The installation package contains Dreamweaver extension, providing you the ability to easily create high-impact, HTML5-powered effects, all in Dreamweaver CS3, CS4, CS5, CS6, CC 2014, 2015, 2017 and CC 2018. Using the user-friendly user interface, you can adjust colors, fonts, sizes, spacing and wide range of other options according to your taste. Enlarged image can be opened in popup window. Additionally popup window contains albums. IFrame can be used instead of image in popup window. 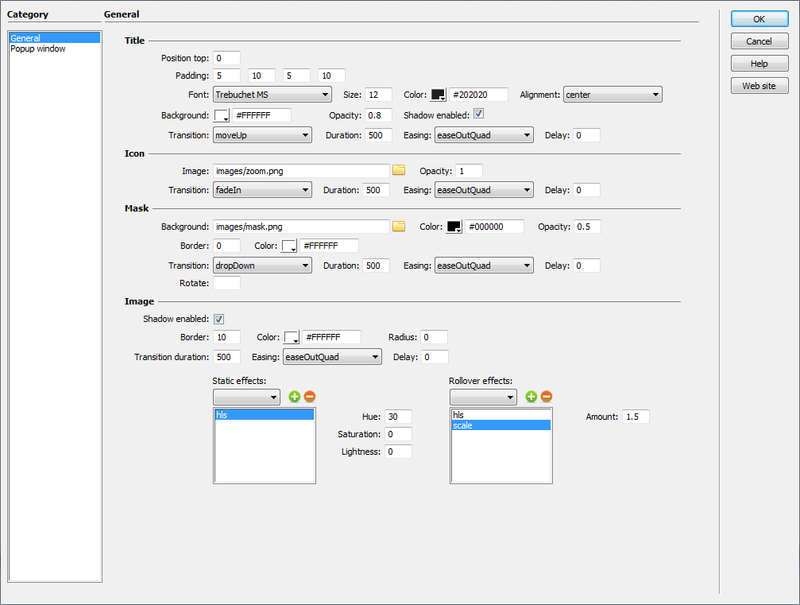 Component provides different visual effects for rollover action and for static state. This special beautiful effect can brighten up your site and add a festive mood to your visitors during Christmas eve holidays. Different images can be combined into albums, through which you can scroll in the popup window. 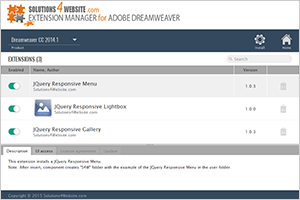 Installation package contains Dreamweaver extension. Dreamweaver extension allows you to easily create HTML5 effects. Extension has user friendly interface.